Designed to fit inside our 12in and 16in. deep drawers. 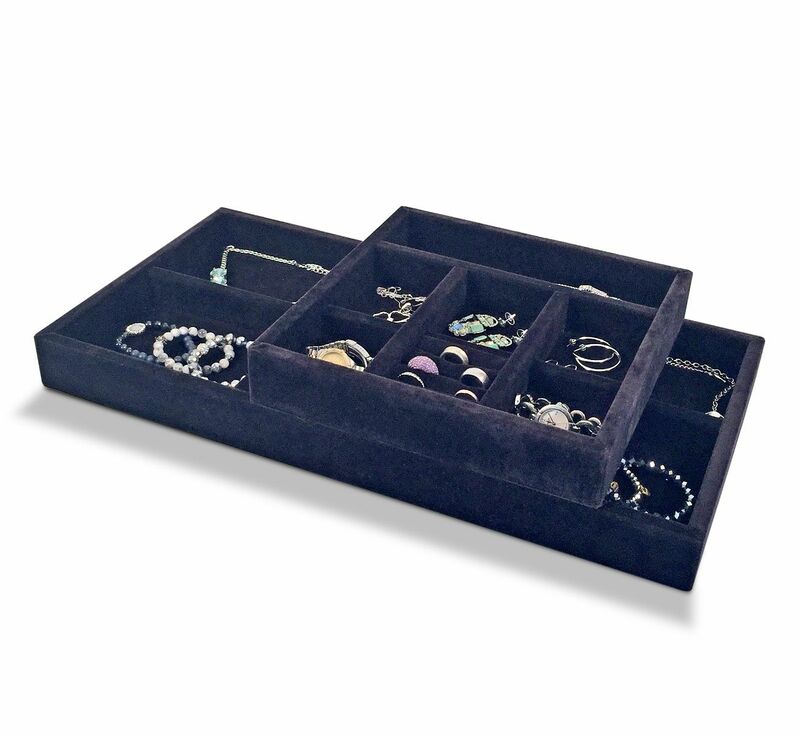 With 7 separate compartments there's plenty of room in this Jewelry Half Tray. 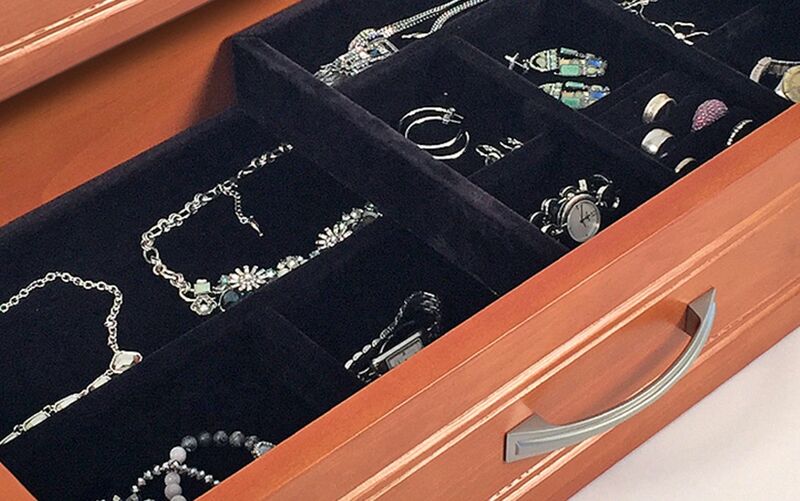 It’s the perfect companion when paired with a second tray for a layered custom look. 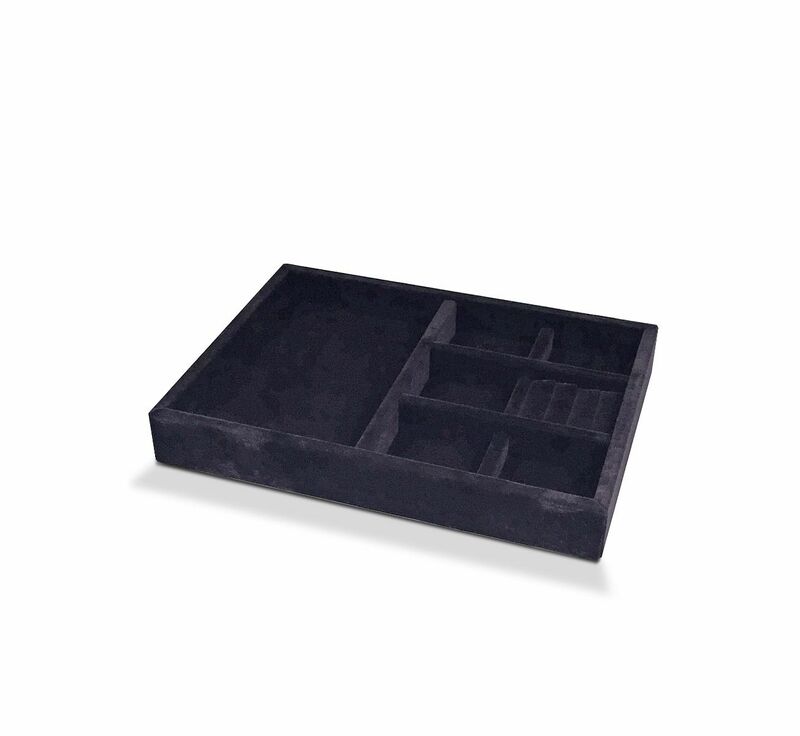 Six 3" x 3.25" compartments including ring holder. One 10" x 2.5" (12in. drawer) or 10" x 6.5" (16in drawer) compartment.